COMMENTS: My customers love this mold and so do I. I will be buying more for sure! 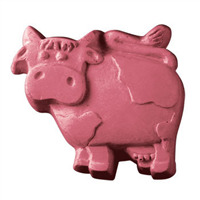 COMMENTS: Not only is this a cute mold it works well for cold processed soap. COMMENTS: Very impressed with this mold. Fantastic level of detail. 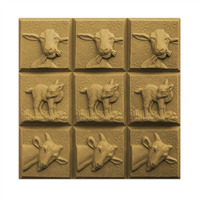 COMMENTS: I got this mold because I needed cows to use with my Baby Buttermilk base. 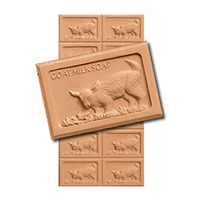 This mold makes lovely bars that are perfect for men, women, and children. A very country looking, comfortable bar! COMMENTS: so cute!cant wait to make this with added milk & scented with Dirty Dawg f.o.Maybe paired up with a milk bath mix? COMMENTS: Love love love this mold. Held up wonderful. Soap looks so pretty from this mold. "What is this mold made out of? Is it flexible?" 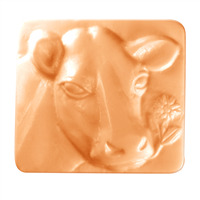 Staff Answer These Milky Way brand molds are made of clear PVC plastic. This is a sturdy plastic and will not be as flexible as a silicone mold would be.